titan.core - Project repository hosted on GitHub. titan.TestPorts.Common_Components.Abstract_Socket - Project repository hosted on GitHub. titan.TestPorts.HTTPmsg - Project repository hosted on GitHub. titan.TestPorts.LANL2asp - Project repository hosted on GitHub. titan.TestPorts.PCAPasp - Project repository hosted on GitHub. titan.TestPorts.PIPEasp - Project repository hosted on GitHub. titan.TestPorts.SCTPasp - Project repository hosted on GitHub. titan.TestPorts.SIPmsg - Project repository hosted on GitHub. titan.TestPorts.SQLasp - Project repository hosted on GitHub. titan.TestPorts.TCPasp - Project repository hosted on GitHub. 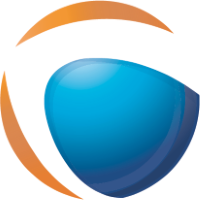 titan.TestPorts.TELNETasp - Project repository hosted on GitHub. titan.TestPorts.UDPasp - Project repository hosted on GitHub. titan.ProtocolModules.COMMON - Project repository hosted on GitHub. titan.ProtocolModules.DHCP - Project repository hosted on GitHub. titan.ProtocolModules.DHCPv6 - Project repository hosted on GitHub. titan.ProtocolModules.DIAMETER_ProtocolModule_Generator - Project repository hosted on GitHub. titan.ProtocolModules.DNS - Project repository hosted on GitHub. titan.ProtocolModules.ICMP - Project repository hosted on GitHub. titan.ProtocolModules.ICMPv6 - Project repository hosted on GitHub. titan.ProtocolModules.IP - Project repository hosted on GitHub. titan.ProtocolModules.RTP - Project repository hosted on GitHub. titan.ProtocolModules.RTSP - Project repository hosted on GitHub. titan.ProtocolModules.SMPP - Project repository hosted on GitHub. titan.ProtocolModules.SMTP - Project repository hosted on GitHub. titan.ProtocolModules.SNMP - Project repository hosted on GitHub. titan.ProtocolModules.TCP - Project repository hosted on GitHub. titan.ProtocolModules.UDP - Project repository hosted on GitHub. titan.ProtocolModules.XMPP - Project repository hosted on GitHub. titan.EclipsePlug-ins - Project repository hosted on GitHub. titan.misc - Project repository hosted on GitHub. titan.TestPorts.LDAPasp_RFC4511 - Project repository hosted on GitHub. titan.TestPorts.LDAPmsg - Project repository hosted on GitHub. titan.TestPorts.Common_Components.Socket-API - Project repository hosted on GitHub. titan.TestPorts.SSHCLIENTasp - Project repository hosted on GitHub. titan.TestPorts.STDINOUTmsg - Project repository hosted on GitHub. titan.TestPorts.SUNRPCasp - Project repository hosted on GitHub. titan.TestPorts.UNIX_DOMAIN_SOCKETasp - Project repository hosted on GitHub. titan.TestPorts.IPL4asp - Project repository hosted on GitHub. titan.ProtocolModules.FrameRelay - Project repository hosted on GitHub. titan.ProtocolModules.H248_v2 - Project repository hosted on GitHub. titan.ProtocolModules.IMAP_4rev1 - Project repository hosted on GitHub. titan.ProtocolModules.ICAP - Project repository hosted on GitHub. titan.ProtocolModules.IKEv2 - Project repository hosted on GitHub. titan.ProtocolModules.IPsec - Project repository hosted on GitHub. titan.ProtocolModules.IUA - Project repository hosted on GitHub. titan.ProtocolModules.JSON_v07_2006 - Project repository hosted on GitHub. titan.ProtocolModules.L2TP - Project repository hosted on GitHub. titan.ProtocolModules.M3UA - Project repository hosted on GitHub. titan.ProtocolModules.MIME - Project repository hosted on GitHub. titan.ProtocolModules.MSRP - Project repository hosted on GitHub. titan.ProtocolModules.PPP - Project repository hosted on GitHub. titan.ProtocolModules.ProtoBuff - Project repository hosted on GitHub. titan.ProtocolModules.RADIUS_ProtocolModule_Generator - Project repository hosted on GitHub. titan.ProtocolModules.SRTP - Project repository hosted on GitHub. titan.ProtocolModules.WebSocket - Project repository hosted on GitHub. titan.ProtocolModules.HTTP2.0 - Project repository hosted on GitHub. titan.Libraries.TCCUsefulFunctions - Project repository hosted on GitHub.